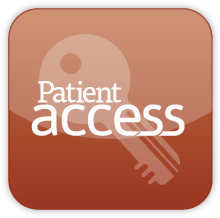 Patient Access is a secure system to allow you to request repeat prescriptions and appointments on line. How Do I Register For Patient Access? To register your interest for this service you need to contact the Reception staff and ask for registration for Patient Access. They will then arrange a convenient time to go through the registration system. You will need to bring some photo ID, i.e. passport/driving licence, with you at this time. You will then be issued with a print out of your access codes, registration instructions and booking guidance. Once you have read the instructions and guidance you can connect to the web site at any time and register. You can visit the Emis access web site by clicking on the link below. The first time you use the site you will be asked to register. Here you will need to enter the four registration codes given to you by the practice.